I didn’t plan on it, it just happened one night in River North. So began my meal at Union Sushi + Barbeque. Seems to be the “it” thing this year in Chicago, sushi & BBQ. Said alligator is pictured above on the right-hand side. Looks harmless, doesn’t it? Someone asked me if it was crispy, it was not. It had the consistency of chicken just a bit heartier tasting. I did go back and ordered the alligator again and they were out so it must be popular. My recommendation is to try it. It won’t hurt and the portion is so small you don’t have to commit to a full appetizer or entrée and you can feel adventurous. PROSCIUTTO-WRAPPED SCALLOP | wasabi-avocado purée, sweet plum sauce, fried ginger – Very tasty and the most interesting item from the barbeque bar to me (including the alligator). Plum sauce and ginger were a good complement to the scallop. CHICKEN THIGH | Japanese-curry – Good flavor but with so many other items on the menu I wouldn’t order again. BEEF FILET | ginger-soy – I did not try this but my meat-loving dining partner really liked it. 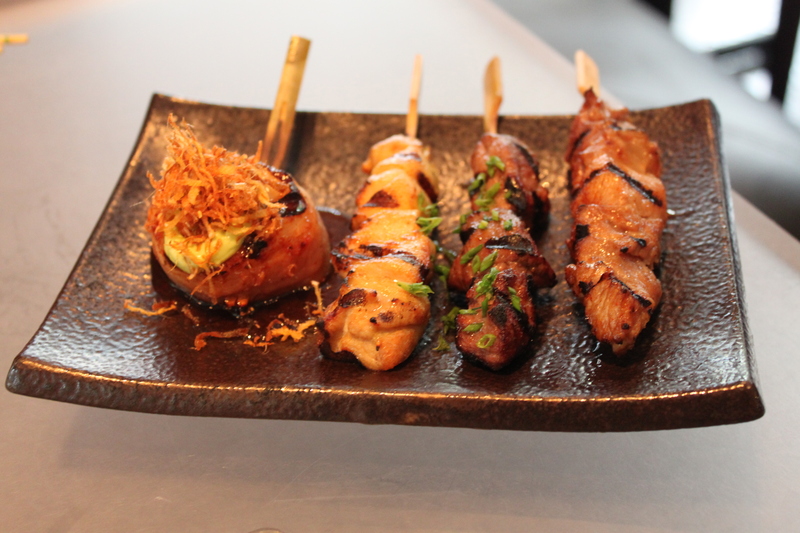 ALLIGATOR | garlic-soy + Kirin Light – You should try it just to try it. Heartier like a venison but not strong flavor. 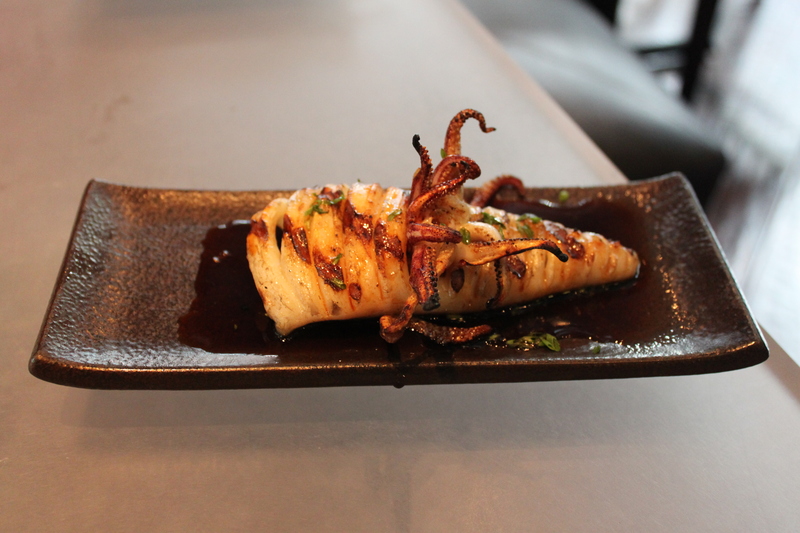 WHOLE SQUID | tare-soy – Pictured below. I did not try it but was told it was good and it would be a repeat order. Having the BBQ part out-of-the-way I moved on to the sushi/seafood. 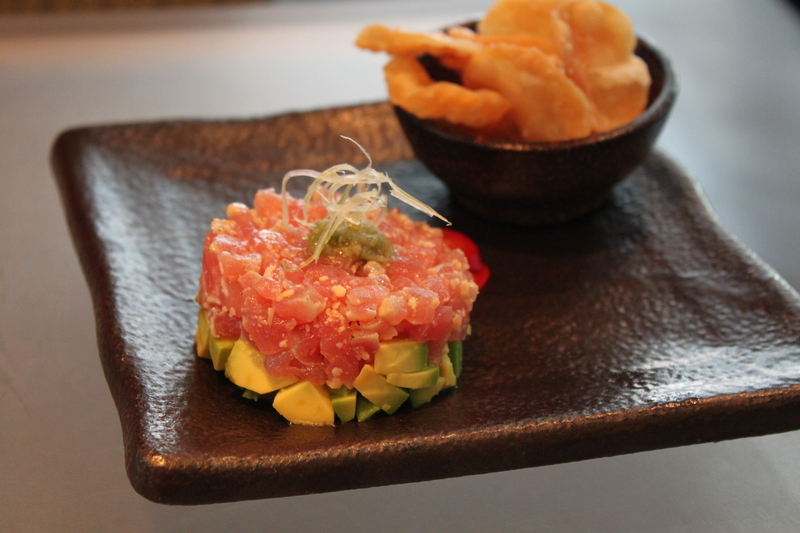 First up was the truffled tuna with truffle oil, avocado, parmesan, chile fresco + wonton chips. For some reason I couldn’t initially taste the truffle oil but once I did it made the dish worth ordering. 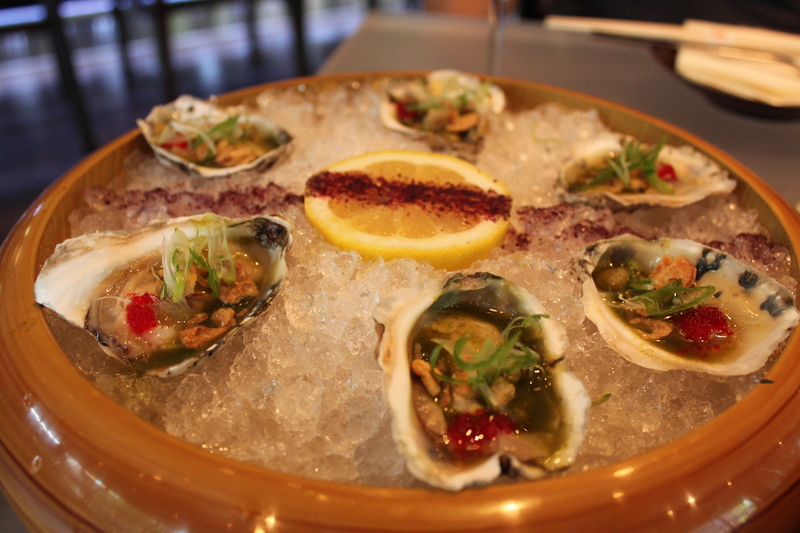 Next: OYSTERS ON THE HALF SHELL | (6) red tobiko, green onion, crispy shallot + jalapeno-cilantro ponzu. I’m not a huge oyster eater but the flavor combination was great. The green onion with the texture of the crispy shallot was really good. Bold but in a delicate way…if that makes any sense. These were ordered again on the second visit. The Union Rolls look a lot more interesting than the classic rolls so we went for those and were not disappointed. 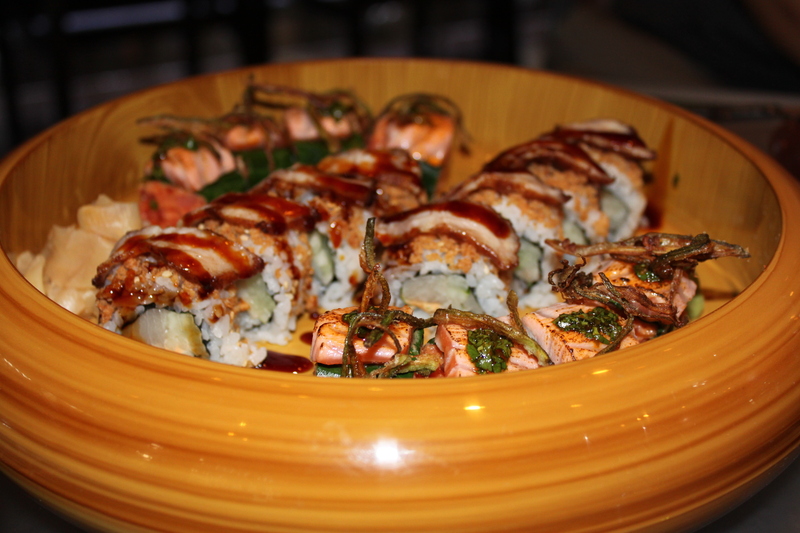 You can order half-orders of all the rolls so it makes it easier to try more at one time. OLD CITY MARKET | spicy tuna, seared salmon, spicy ponzu, cilantro, green onion, fried okra + wrapped in collard green. I really like the collard green wrap. The fish tasted fresh and did not seem hidden behind all the flavors. It was ordered on the second visit. THE BELLY ROLL | hamachi, cucumber, orange tobiko, scallion, chili paste aioli, crispy tempura crumbs, fried pork belly strips + eel sauce. I loved this roll, yes there is pork belly on top and it seems weird but it worked. Another repeat order. Besides the rolls my next favorite thing about Union Sushi + Barbeque were the craft cocktails. 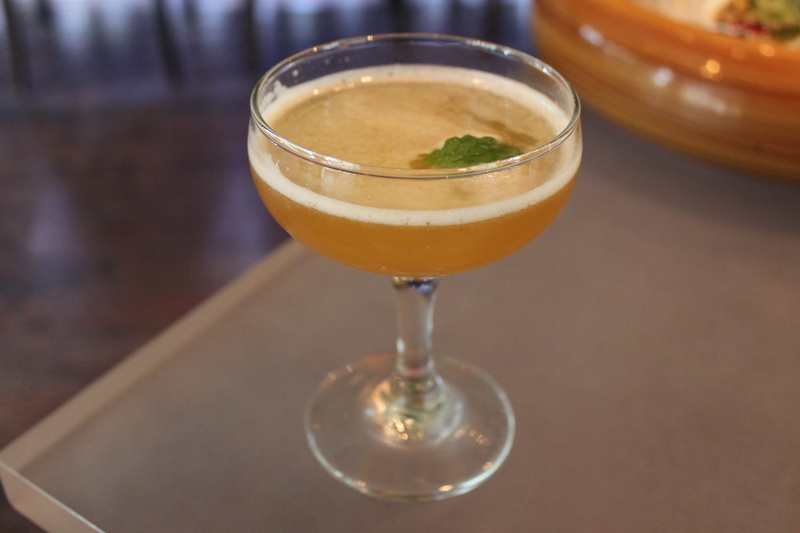 THE SPARROW BEE | El Dorado 5 year Rum, Lemon, Honey Syrup, Mint, Bittercube Jamaican #2 Bitters. This is the type of drink that if you are not careful you finish it in no time. Not because you want a buzz but because you don’t want the perfect taste to end. When you take the first sip and your eyes get bigger and you say, “Oh my god, this is so good, you have to try it.” Then the person with you is bummed because your drink is so much better. That is unless you ordered the NIGHT SCENE | Sobieski Vodka, Rock Sake, Cocchi Americano, Combier Orange Liqueur, Bittercube Orange Bitters. 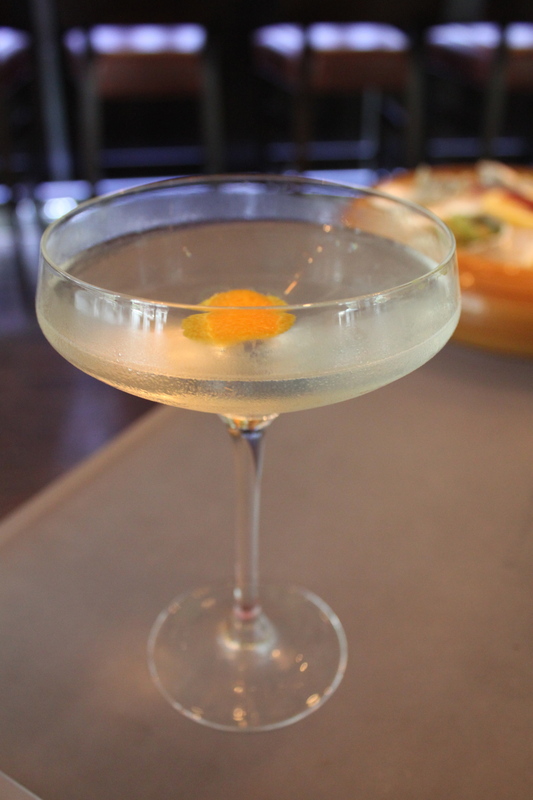 Another perfectly balanced drink and deceptively strong as the vodka is hardly tasted. Before the rolls and cocktails, my favorite thing about Union Sushi + BBQ is the space itself. It is nice and open, visually interesting and the music is great. 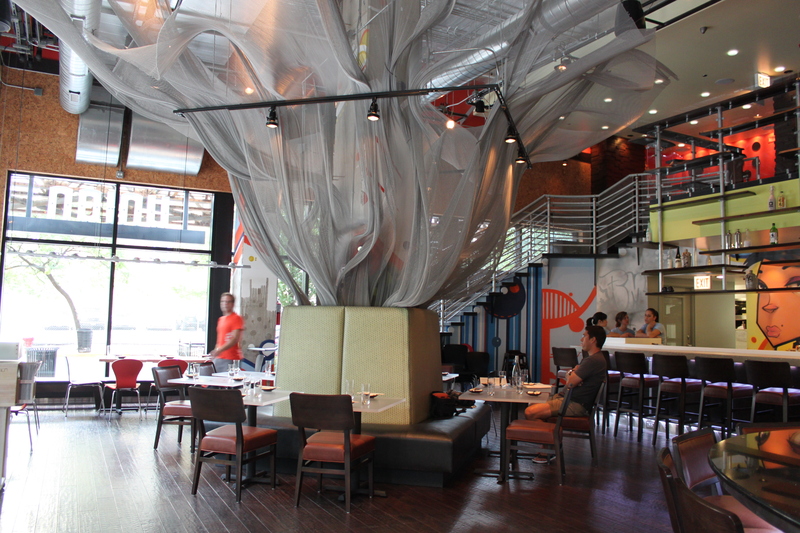 The atmosphere makes it hard to leave and miss going to Up Bar that is you guessed it, upstairs to continue the night. It did seem really random but I went for it. 🙂 It wasn’t tough or chewy at all so I think I did get luck with the chef. You should try it if you can find it. The Sparrow Bee is perfection! I’m glad it’s so complex, because I might drink it all the time if I could make it at home.